The fight to be thepredominant autumn market stepped up a gear with the AFM's announcement that ithas over 200 companies committed to exhibit at the Loews in Santa Monica thisautumn (Nov 3-10). 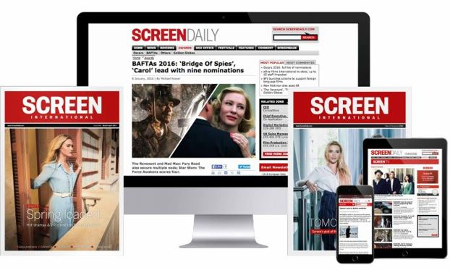 "We've had a tremendousresponse from AFM exhibitors. Our new alliance with AFI Fest will make theupcoming AFM bigger and better than ever," said Jonathan Wolf, executive vicepresident of AFMA and managing director of AFM. Earlier this year the AFMconfirmed that it is to unite with the AFI festival which is held in LosAngeles at the same time of year and is now in its 18th year. They expect todraw marketing, sponsorship and scheduling advantages. Mifed, the Milan-basedmarket that is most directly affected by the AFM's move from February to theautumn has already sent out its invitations to 120 selected buyers for apre-pre market weekend retreat on the shores of Lake Como and is expected toannounce further initiatives during Cannes. AFMA is expected to keep upthe pressure with the imminent announcement of financial incentives of its own. Confirmed AFM sellersinclude: Celluloid Dreams, Gaumont, Pathe International-France, Roissy Films,StudioCanal, TF1 (France); Media Luna, Atlas International (Germany); BeyondFilms, Capitol Films, Content International, Distant Horizon, HanWay, Icon,(UK); KWA, Filmax, LolaFilms (Spain); Svensk Filmindustri (Scandinavia), PonyCanyon, Shochiku Co., Toei, Toho (Japan); Cineclick Asia, Cinema Service, KangJeGyu Films, (South Korea), Focus Features, Intermedia, Lakeshore, Lions GateFilms, Media 8 Entertainment, Miramax, New Line Cinema and Summit.